By combating wage theft, the Labor Commissioner’s Office helps level the play field for law-abiding employers. The California Labor Commissioner continues to crack down on wage theft violations. Generally, wage theft refers to infractions of the California Labor Code involving the payment of wages to workers. Seven Bay Area restaurants were recently ordered to pay a combined $10 million for wage theft violations, including failure to pay minimum wage, overtime and split shift premiums. The Labor Commissioner launched an investigation after receiving complaints from workers who reported wage theft to the Asian American Advancing Justice — Asian Law Caucus and the Chinese Progressive Association. Some workers were paid a flat rate salary that did not include overtime even though workers typically worked 50 hours per week or more. Several restaurants were not paying minimum wage workers an extra hour of minimum wage as a premium for working a split shift. One restaurant was illegally counting tips received as part of the minimum hourly wage. Tips are the sole property of the workers and cannot be credited against an employee’s wages to satisfy wage requirements. Enforcement investigations typically look at the previous three years’ payroll audit to determine wage theft violations and calculate penalties and payments owed. Workers paid less than minimum wage are entitled to liquidated damages that equal the amount of underpaid wages plus interest. Waiting time penalties are imposed when the employer intentionally fails to pay all wages due to the employee at the time of separation. Additionally, a nationwide restaurant chain and their janitorial contractors were recently held liable for more than $4.5 million in wage theft for eight restaurants in Orange and San Diego counties. 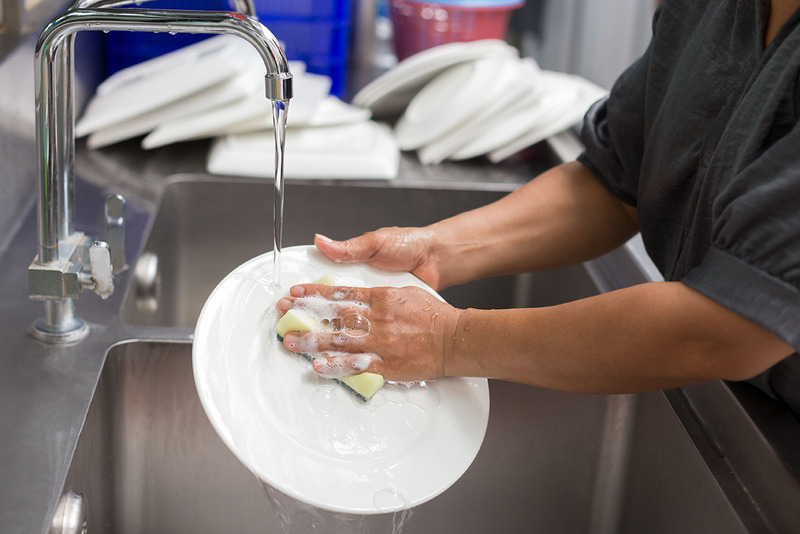 The restaurant chain’s janitorial contractor subcontracted work to another cleaning agency. Investigators found that janitorial workers did not receive proper meal and rest breaks. In addition, workers would not be released from their shifts until restaurant kitchen managers conducted walkthroughs, and managers frequently assigned additional tasks that workers had to complete before they were released. Workers logged up to 10 hours of unpaid overtime each week. The restaurant was held liable under a law that holds client employers that obtain labor from a subcontractor responsible for their workplace violations. Employers need to make certain they are complying with California’s strict wage and hour laws, including state minimum wage, local minimum wage, overtime, split shift, and meal and rest breaks. CalChamber members can read more about Overtime and Split Shift Pay in the HR Library. Not a member? See how CalChamber can help you.